In this article I am finally going to break my silence and dispel the biggest myth in golf. What is that myth you ask? It complicates an already difficult game, making consistency impossible. It is actually the main cause of a weak and powerless slice ball. And finally this myth causes unnecessary stress on the back and joints. As a former PGA Professional, bestselling author and one of a few non-scientists to ever be invited to speak at the International Society of International BioMechanics in Sport Conference (ISBS), it is time I put it to bed – forever. 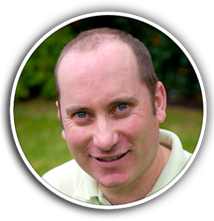 My name is Cameron Strachan and I play at the Metropolitan Golf Club, Melbourne, one of the leading private courses in Australia and host of the 2001 Accenture Match Play Championship (won by Steve Stricker) and the 2014 Australian Masters. Imagine you want to punch somebody hard… but… the only proviso is that you must have your arm straight. Try it. You can’t apply any power, right? If you keep your arm straight you have no means to generate any speed. At best you can generate only 5 miles per hour of speed, and that is if you slide and lunge with your body. If, however, you allow your arm to bend even slightly, you generate massive speed and power. Now to apply the same concept to your golf swing. A swing that resembles the straight arm punch means you are never able to produce a swing that gives you great power and distance. The secret to nailing every single drive off the tee is in the arms! The arms are the major power source in the golf swing. Your body acts as a support mechanism, with the arms (especially the upper right arm for right handers) providing the majority of power. If, however, you’ve been taught that your body is the main power source (almost all the big name coaches are), you will always struggle to play consistently. This is why the quickest and easiest and most consistent way to get more power from your drives is to use your arms. Go ahead and try it next time you’re out on the range. You’ll be surprised by the easy distance you generate. Swing plane instruction is outdated and not beneficial to learning a better swing. X-Factor: turning your shoulders against the resistance of your hips is potentially dangerous. Did you know the majority of downswing instruction is actually the little known causes of a slice? It’s true. (But don’t fret. I have found an easy solution any golfer – no matter how serious their slice – can use to hit the ball straighter virtually every time). (I generate more power and consistency with a shorter backswing. This gives me greater distance and accuracy. In fact, testing showed that with a shorter backswing I could generate more power and I’ll show you how to do it). Yes, it really is possible to incorporate better and more reliable techniques into your game without stress and without frustration. But first, let me tell you about…. I helped commission and then was involved in a major scientific study of the golf swing. 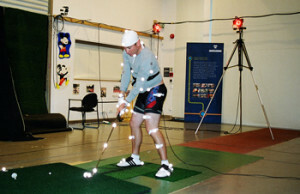 This was not pseudo science – it was the most comprehensive study of its kind ever undertaken on the golf swing. 16 muscle groups tested simultaneously using electromyography. Special electrodes were placed on each muscle group and measured activity during the swing. Ground reaction forces were measured. The testing subjects were required to hit shots from two force platforms. This helped determine weight shift, foot action and pivot. Eight 3D motion detection cameras were used in conjunction with a 48 marker reflective system. These markers were placed at strategic points on the subject and club and allowed every inch of the swing to be analyzed. It didn’t stop there. I then worked one-on-one with the scientists to translate the data into a useable golf swing model anybody can use on the golf course – no matter your handicap or experience. It took over nine months of painstaking research and field testing to carry it out. But we did it! And the end we were left with a simple and accurate golf model that produces powerful drives… accurate strokes… and consistency on the course. One independent scientist was so impressed he called it “the golf swing of thefuture”. The best news for golfers is the scientific team and I created a golf swing that produced the maximum power with the least effort. And more important, the swing is transferable to anybody who wants to learn it! In fact, it gives golfers a mechanical and mental advantage because it is based on the natural biomechanics of your body. Based on this discovery, I was one of the first non-scientists to speak at International Society of International BioMechanics in Sport Conference (ISBS). This is one of the leading symposiums in the world and researchers from such leading institutions as the University of Florida, California State University, University of Stuttgart, Miami University-Ohio, University of Windsor, Arizona State University, University of Sydney, University of San Francisco and many prestigious organizations have been part of it. And just to show you I know how to coach my breakthroughs, I taught my simple putting system to Aaron Baddeley - regarded by many as the best putter in the world. He won the first of two Australian Opens as an 18-year old amateur and has since gone on to win USPGA tour events and play in the Presidents Cup. In 2006 he was ranked as the #1 putter on the US PGA and continues to impress people all over with his “magical” putting ability. But he wasn’t always a great putter. In fact it used to be the worst part of his game. When I showed him a different putting style and routine he was a little skeptical. But he appreciated the simplicity of what I showed him…and turned his game around. His putting is now the best part of his game and is the envy of many golf professionals. But you don’t have to pay thousands of dollars for private coaching. 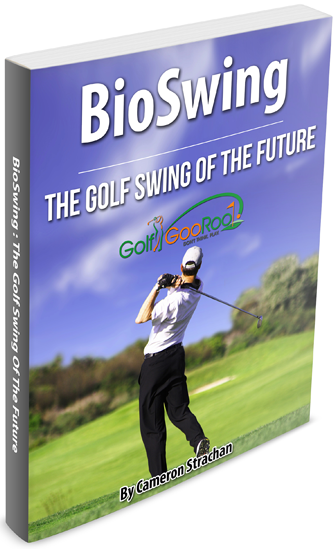 My BioSwing training ideas have been updated (early 2015) and are now presented in a hardcopy book. I ship worldwide and you can get your very own copy delivered right to your door. BioSwing has sold for up to $97 when it was first released (For a PDF!). I’ve only recently completed a the updated version of this book in 2015. Here's your chance to own your very own hardcopy edition of the swing that has been described as the "Golf Swing of the Future". Q.Is this a hardcopy book? A.Yes! It is shipped from QLD, Australia and I send all over the world. Q.Can I get a digital copy? A.This has been completely updated and is only available as hardcopy at this stage. I have found that golfers prefer something physical – ebooks have their place, but most of my material is now hardcopy.